Heat and eat, ready meal. 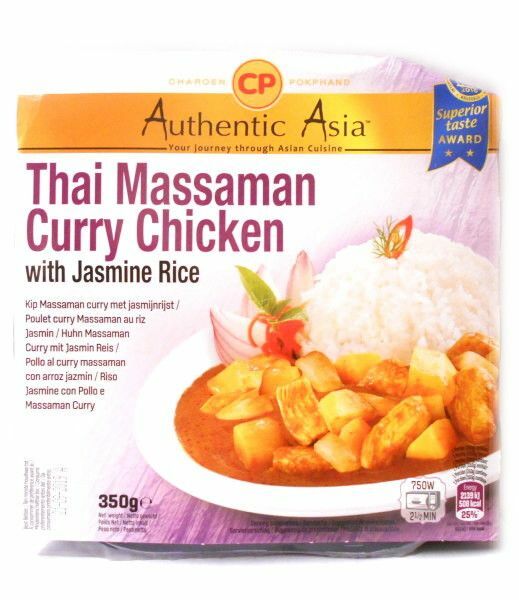 Massaman curry, with chicken and cooked jasmine rice. 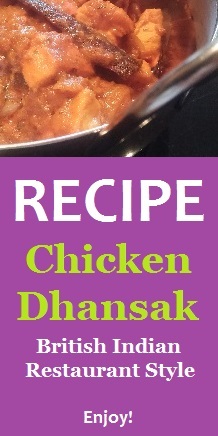 Heat in Microwave or Saucepan. Pierce both sides of film. Microwave on full power for 2.5mins (750 watts). Leave for 1 minute and carefully peel off the film. Bring the water to boil in saucepan. Place unopened tray in water and simmer for 15mins. Check food is piping hot, leave for 1 minute and carefully peel off film. 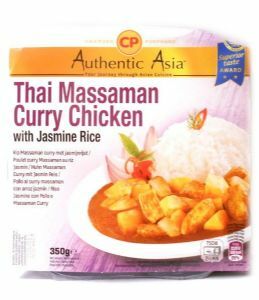 Ingredients: cooked jasmine rice (water, jasmine rice), chicken (chicken, water, corn starch, salt), coconut milk (coconut extract, water), potatoes, curry paste (herbs and spices (contains mustard), sugar, tamarind juice, rice bran oil, salt, shallot, fish sauce (anchovy fish, salt, sugar)), water, onions, sunflower oil, rapeseed oil, herbs, thickener xanthan gum.